As a former active duty Marine and current Coach of the Naval Academy Triathlon Team (5x Team National Champions), I specialize in taking athletes to the next level and working with athletes trying to get it done in a tough weekly schedule. Many of my athletes are either current or former military. My coaching utilizes metrics for each sport to get the athlete to hone workouts and achieve agreed upon goals. I want sport to compliment your life; it should be fun. I reside in the Boulder-area of Colorado and my primary profession is coaching endurance athletes. I've been coaching since 2006, full-time since 2013. 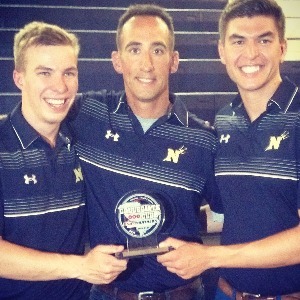 I have a stable of triathletes, cyclists, and runners, along with the USNA Team (since 2008). The athletes I work with have earned 60+ USAT All-American honors, and several neophytes to elites and two collegiate Nationals champs. I've successfully coached road and CX cyclists up to Cat 2. The runners include a high school All-American and an Olympic trials marathoner. I personally started competing as a youth in National Junior Olympics for cross country and track. I ran through high school and college. I commissioned into the Marine Corps in 2000, becoming an Infantry Officer and eventually served in Operation Iraqi Freedom during the invasion in 2003. While a Marine, I competed in triathlon and running for the Marines and All-Armed Forces teams to include 2 world military championships. I left the Marines in 2006 and spent 6 years racing as a pro/elite triathlete. I am an Ultraman Champion and completed Ultraman Hawaii. On bikes, I was a RAAM team record holder and competed at a high level in ultra-cycling finishing Paris-Brest-Paris and winning THE508. I currently enjoy Swimrun events being a top-level masters runner and triathlete. I am USAT Level 2 and Elite Youth and Junior Certified and USAC Level 2. Although, I do not think certifications are important, they do put me in good standing with our NGBs. I am eager to work with athletes eager to set realistic goals and expectations and then have fun and work hard along the journey. Success. Coach Billy Edwards has been notified of your message. To hire Billy Edwards as your coach, select the coaching service that is right for you.